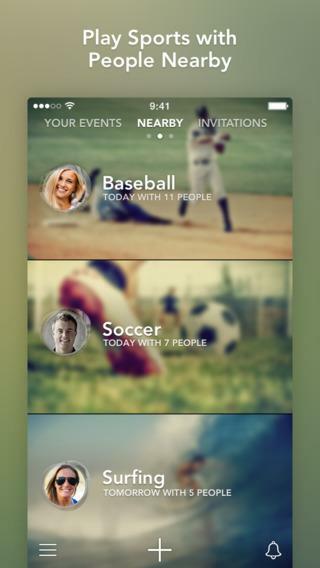 Those for whom sports and friends go hand in hand will be eager to download the new app Sporty, which is a social network that allows users to schedule sports play and even create local leagues. It's the brainchild of Norwegian freelance designer Mathias Mikkelsen and his partner Christopher Onsrud. It's standing out in the crowd of others like it because of its user-friendly layout. Mikkelsen's team told Relaxnews that so far the app contains 50 sports -- including Dog Walking and Ultimate Frisbee -- with another 50 to be added upon the next update. "We wanted to begin with the most popular ones in version one as simplicity is so important for users' experience," says co-founder Onsrud. 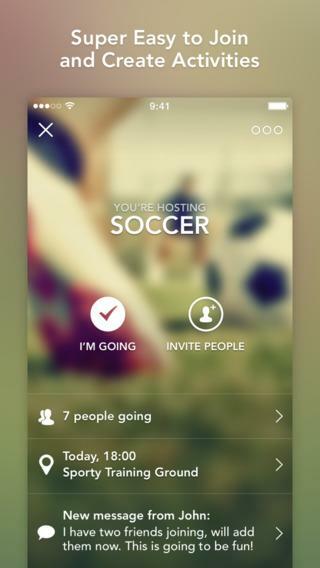 Logging on with Facebook is necessary to enjoy the app, which specializes in connecting sporty types by means of its "Nearby" feature. Described as "incredibly beautiful" on the app critic site Beautiful Pixels, the app allows users to create an event in their sport of choice or find events to partake in organized by other users, be they friends or strangers. Mikkelsen also founded the successful scheduling and time-tracking app Timely for individuals and businesses alike. Sporty is already ranked among the top 20 in the Norwegian app store, according to a Tweet by @Sporty_App.